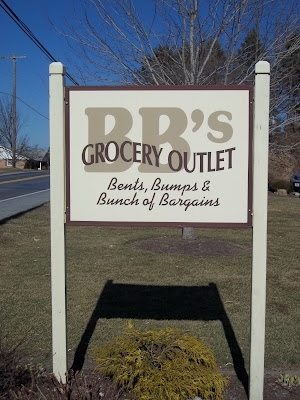 Some photos of BB’s, a PA Amish bent-n-dent grocery. 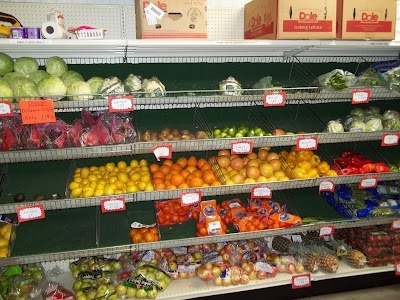 These photos are from the store’s Lebanon County location (Myerstown area; addresses at end of post). BB’s in fact has 4 locations across southeastern PA, including in Lancaster County, Berks County, and Cumberland County (see below for addresses). 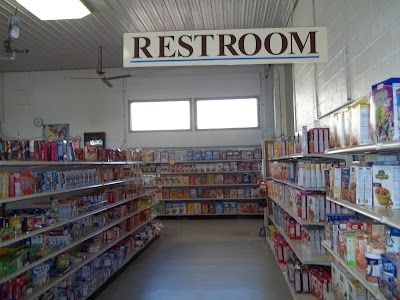 The reader who took these photos says it reminds him of an “Amish Costco”, and that it is quite popular with both English and Amish customers. The Lebanon County Amish community is nowhere near as big as nearby Lancaster, but with 200 or so households it’s not tiny. More info for each store, including hours and holiday schedule, at the BB’s website (bbsgrocery.com). Thanks for posting the photos. We had our first snow of the season here in central NC, and there’s not much to do except stay inside and work on the internet. At least it gives me something to look at. Wish we had one of these nearby. Because of a post here last year, when I was in Pa. last Sept, I took an afternoon and went to this store. 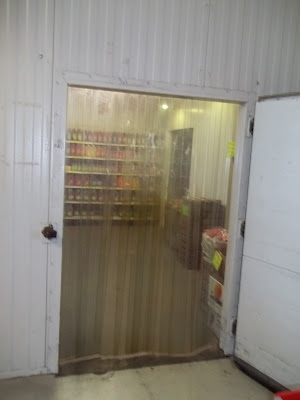 Really enjoyed the experience, and the “cold locker” or walk-in refridgerator was neat. I remember that they had flowers, cheeses, all kinds of thing in there. And it was VERY cold. There is a great store that sits beside this one that has lovely things for the home. The scenery on the ride over, the country, everything made this an enjoyable afternoon–and not much money spent. OK – I’m reading all these posts about this Amish store in LEbanon County. I live in Lebanon County and never heard of it! 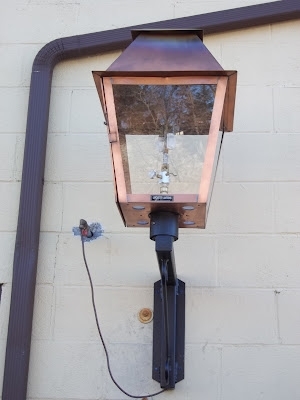 Where in Lebanon County is it? Can you give me a name of a town it is near, or is that giving away too much information? I’d like to check it out! Thanks! Whoever wrote that Lebanon County is a beautiful place to live was right on! The farms are beautiful and rolling hills and open fields lovely. I see Amish buggies go by my house every day, which is still fun to see after being here almost 25 years! I grew up in Lancaster County so I know about the commercialism of the Amish there. I’ll take Lebanon any day over Lancaster! This is on route 419 between the George Washington Tavern and Horst Rd. We have a dear friend who lives in Lebanon. I will have to ask her about this place and stop in the next time we visit. Thanks for sharing … very interesting!! So lets please keep this as our little secret! Huh? Sorry Richard, the cat is out of the bag now. I will try to visit there this summer (and make purchases) lol. A perfect day, I’d say. Hoping to do it again this year. Nice pictures Richard. As always,enjoy reading your posts. Just wish they were, oh, 1,100 miles or so closer! Richard; You didn’t mention the exact location of this BB’s store but it looks like the one in Schaefferstown. I think Loretta is referring to the BB’s store in Quarryville by the way she’s explaining things. Yes, I was referring to the one in Quarryville. I just assumed that this was the one. I knew the outside picture didn’t look real familiar, but I thought maybe I didn’t pay a lot of attention to it. go each time I visit my sister who lives in Myerstown. I certainly will ask her about the BB store. I’ve heard so many things about BB’s but I can’t find out where it is!! I live in Hagerstown, MD. Can someone give me an address, phone number, something??? Thanks. Kathie, if you go to the post below, then scroll down toward the bottom, Debbie Welsh gave a list of 3 BB’s. Linda: Thanks so much for the information. Do you also know of BB’s somewhere near Shippensburg? 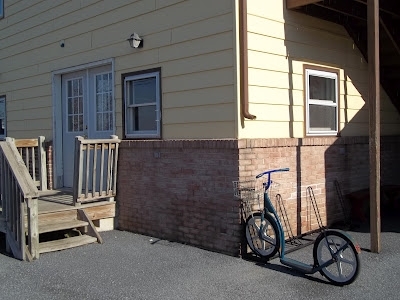 I’m looking for a place relatively close to Hagerstown. Hours: 8-4, M, T, Th, F; 8-5 Wednesday; 8-3 Saturday. This is in the area of Franklin & Cumberland Counties. Thanks again! Can’t wait to go shopping on Saturday! My wife and I live near Roanoke, Va and travel to Pa. to visit family still living in York County. Every trip we make we go to Quarryville and go to BB’s. Last trip we got $110 in groceries and that has supplemented our groceries for the past 6 months. We have saved hundreds of dollars by going there. Glad you liked it Howard!